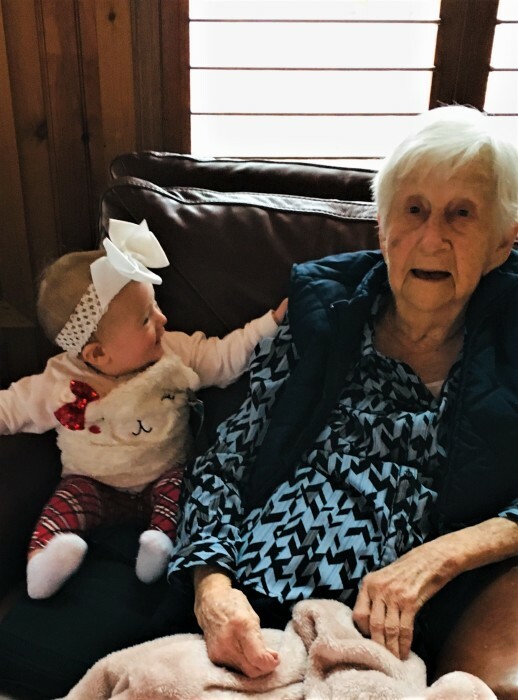 Mary Lynn Henley, age 95 of Oliver Springs went to her heavenly home, Tuesday, March 26, 2019. She was born February 20, 1924 in Fonde, Kentucky. Mary was an active member of New Fairview Baptist Church, where she looked forward to participating in the visitation and the bereavement programs. Mary was preceded in death by her parents, Sam and Grace Wright May, husband, John Henley, brothers, Sam May, Joe May and and an infant brother, Lester. 4 great grandchildren, Natalie, Isabella, Sophie, Mattie Kay, and several nieces and nephews. A graveside service for family and friends will be held Friday, March 29, 2019 at 10:00am at Anderson Memorial Gardens with Pastor John Edwards officiating.